The Pectinia Spiny Cup Coral is a Large Polyp Stony (LPS) coral, also referred to as a Lettuce, Hibiscus, Palm, Carnation, or Cabbage Coral. They form cabbage-like colonies with ruffled branches that terminate in very sharp points. The coloration within these corals vary, and typically darken towards the center of the colony. They add a unique form and presence to a reef aquarium. 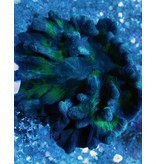 Its behavior is peaceful and can be placed in close proximity to other peaceful-natured corals. 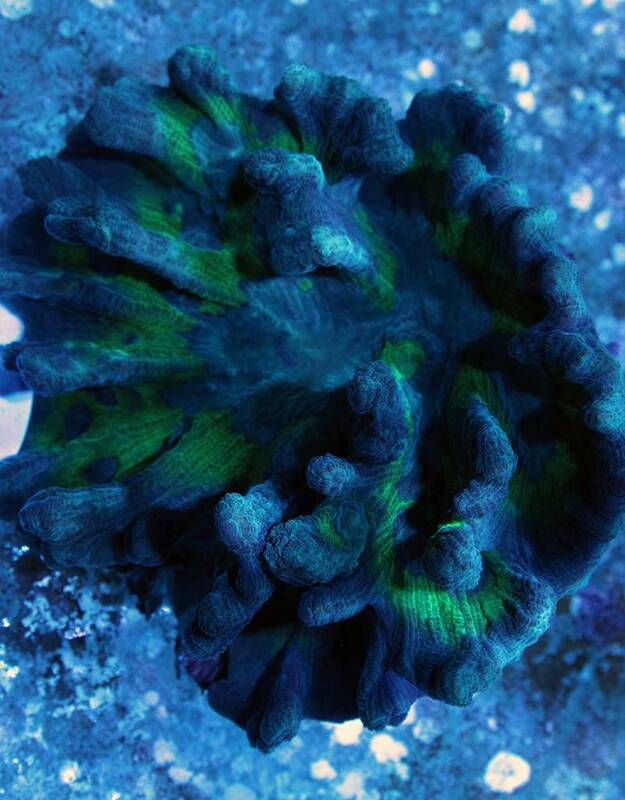 The Pectinia Lettuce Coral is not a coral for the novice reef keeper as it is moderately difficult to maintain. Its home will require medium lighting combined with a medium water movement. For continued good health, it will also require the addition of calcium, strontium, and other trace elements to the water. It will benefit from additional food in the form of micro-plankton or other foods designed for plankton feeding animals, and should be fed when its tiny tentacles are visible during the evening. Approximate Purchase Size: Small: 2" to 3"; Medium: 3" to 5"; Large: 5" to 7"